Nita Jo Rush is a Licensed Parelli 4-Star Senior Instructor, and Horse Development Specialist. 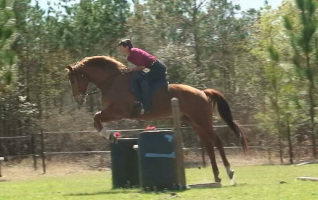 She teaches people of all ages all over the country, from Minnesota to Rhode Island to Florida, and with all kinds of horses, from miniature to draft. Nita Jo has been in the Parelli Professional program since 1997, and travels frequently to the International Savvy Centers in Colorado and Florida to study and ride with Pat and Linda. Educated and trained as a social worker and psychologist, Nita Jo practiced for 24 years until resigning that career in 2000 and following her dream of playing and working full time with horses and their humans. Her elite, state-of-the-art facility is in central Minnesota. This uniquely effective natural horsemanship system has been developed by two of the world’s top horsemen, Pat and Linda Parelli, and is changing the way people train horses, the way we think and feel about them. Reared in Colorado, Nita Jo grew up playing with horses and worked as a wrangler years ago in the mountains west of Pikes Peak. She competed in NRHA reining in the upper mid-west before turning to Parelli in 1995. Learn more about Pat and Linda’s highly effective, fun, creative and safe system for understanding the secrets of success with horses by joining Parelli Connect, soaking up all the savvy you want, attending clinics and courses. 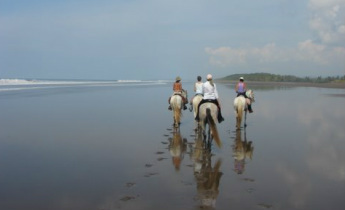 A world of inspiration and fantastic results with horses awaits you!